A small Lincolnshire town is to discuss possible plans to house asylum seekers nearby. 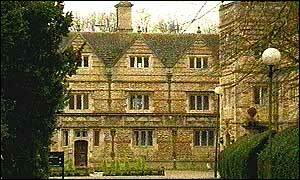 People in Caythorpe near Grantham found out last month that the property company, Angel Group, is considering turning the agricultural college, Caythorpe Court, into a short term emergency centre for asylum seekers. The Caythorpe Action Group was formed last month to represent local concerns. Organisers say they want to ask developers exactly what stage their plans are at. During a public meeting recently, nearly 200 people turned out and most were against the proposals. The Caythorpe Action Group has the support of the MP for Sleaford and North Hykeham, Douglas Hogg. He has written to the company to say their planning application will be opposed by local people. The MP is asking the firm to look elsewhere for a more appropriate site. Residents say a rural town of 1500 people cannot cope with a sudden influx of an extra 500. Terry Norman, who set up the action group, said: "We can see dire consequences because if you look around here there is virtually nothing for anyone to do. "It won't be the townspeople suffering so much as the people that come in. "There is nothing for them here, it's virtually all farmland, it's the centre of a rural community." Mr Norman said the group's first task would be find out exactly what the developers intended for the site. The meeting starts at 1930 GMT on Monday 13 January in the village hall.